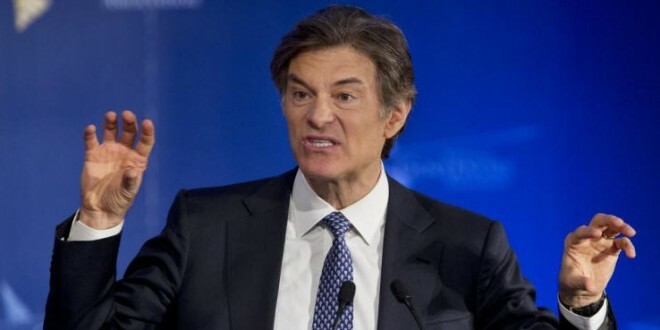 Dr. Oz Archives - Joe.My.God. 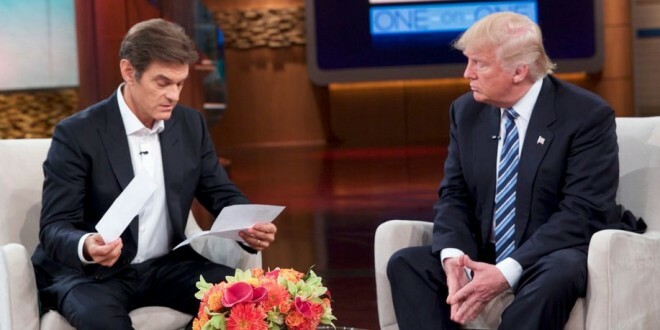 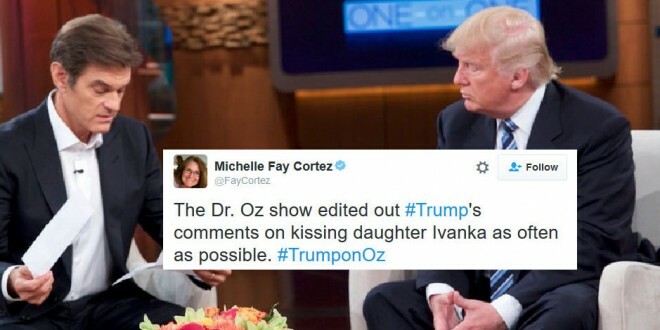 Yesterday quackpot television host Dr. Oz admitted that he wasn’t planning on asking Donald Trump any questions about his health that Trump wouldn’t want to answer. 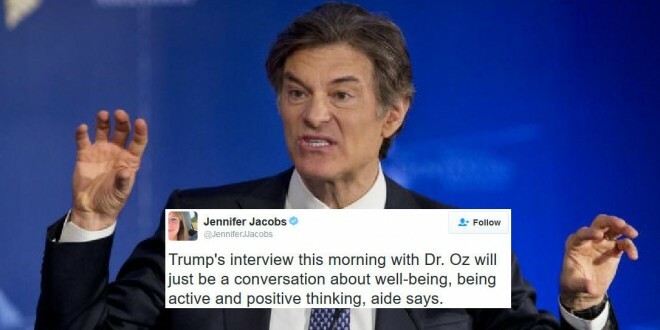 Today we learn that the interview won’t touch on Trump’s alleged recent medical exam at all, but will merely focus on “well-being, being active and positive thinking.” So much for the big reveal.